What is the Tao Te Ching? Of all the ancient books of China, the Tao Te Ching (道德經; also known by its Pinyin name, Daode Jing) is one of the most widely read around the world. 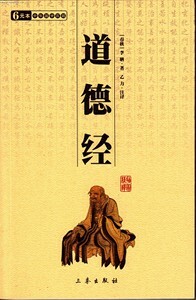 The Tao Te Ching is also one of the most translated works of literature on earth. One of the fundamental texts of the Chinese philosophy of Taoism as well as Chinese Buddhism, the Tao Te Ching is often known to people in China simply by the name of its author: Laozi. Scholars have, for years, debated the existence of Laozi or whether this name could be attributed to one of several ancient writers. Likewise, some suggest that the Tao Te Ching was written by a series of scholars over hundreds or even thousands of years.